Jean Prados brings over 25 years of experience in residential sales in the luxury home market as well as homes for first-time home buyers. Jean has risen to the challenges of the ups and downs of the Houston market by transforming cycles into opportunities and triumphs for her clients. Ms. Prados has sold or marketed homes across the Greater Houston area, including the in-demand and dynamic areas such as Memorial, Katy, the Inner Loop, Heights and West University. She combines her extensive market knowledge with excellent organizational, communication and negotiating skills. She builds and sustains long-standing relationships with her clients as their lives and needs change over the years and believes that referrals from past clients remain the highest compliments that she receives. Ms. Prados is a Certified Negotiating Expert, a distinction that continues to build upon process expertise, integrity, and local knowledge. She combines these skill sets with the latest technologies to help her clients achieve their goals of buying, selling and gaining personal expertise in navigating a cyclical, yet rewarding, market environment. Jean is a native Houstonian and grew up in the Memorial area. She raised her children in Katy and has since resettled in Memorial, which she considers “home” and puts her closer to her daughters. 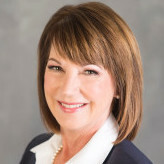 She is a member of the Houston Association of Realtors, Texas Association of Realtors and National Association of Realtors. She is an active community member, both within her church and local neighborhood, and has served on a number of Houston non-profit boards. Relocating from overseas, it was comforting to have someone proactively working on our behalf. I can honestly say that Sherry took the stress and fear away. I had an excellent home buying experience, and highly recommend five star real estate agent Sherry Campbell.